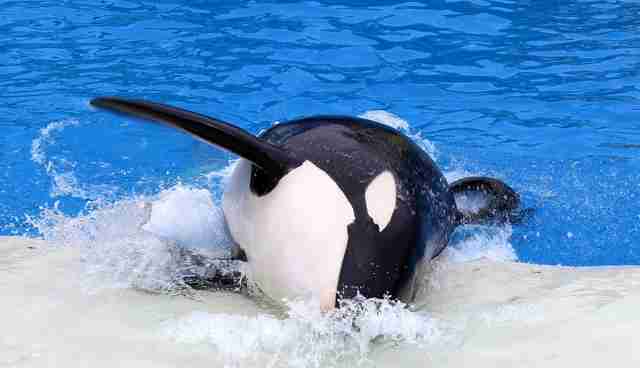 SeaWorld will never breed another orca again. In a major victory for animal lovers everywhere, the company announced Thursday in an agreement with the Humane Society of the United States (HSUS) that it will immediately stop its captive breeding program, making the current generation of orcas the last. "Today's announcement signals that the era of captive display of orcas will end," said Wayne Pacelle, president and CEO of the HSUS, in a press release. 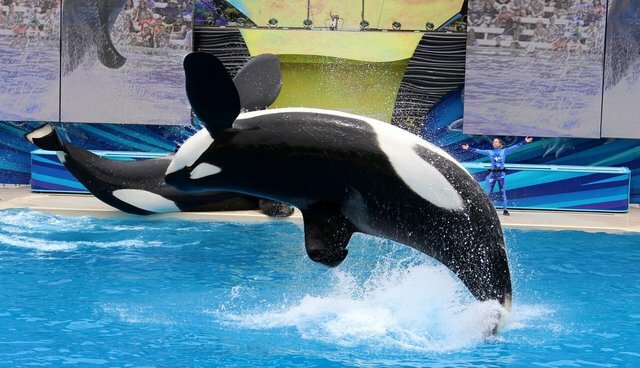 SeaWorld CEO Joel Manby said the company would also be phasing out its theatrical orca shows, and renewed its longstanding, but often questioned, commitment to rescuing and rehabilitating sea animals. "As one of the largest rescue organizations in the world, we will increase our focus on rescue operations - so that the thousands of stranded marine mammals like dolphins and sea lions that cannot be released back to the wild will have a place to go," he said. Ever since the release of "Blackfish" three years ago, the public has lost its appetite for seeing orcas stuck in small tanks. Dwindling attendance numbers followed, and Manby has blamed "continued brand challenges." The fight against SeaWorld's breeding program in particular reached a head last year, when the California Coastal Commission voted to allow SeaWorld San Diego to expand its orca tanks - on the condition that the San Diego park no longer breed orcas. SeaWorld quickly tried to overturn the ban and even admitted it had sent its employees to spy on animal welfare groups concerned with the company's orca captivity and breeding programs. Thursday's announcement means that SeaWorld has finally realized that its current model doesn't work from an ethical or business standpoint. "This is a first, massive step forward toward a more humane future for SeaWorld," Dr. Naomi Rose, marine mammal scientist at the Animal Welfare Institute, said in the press release. "I welcome these commitments from Joel Manby. He has given SeaWorld a new lease on life." As of 9:30 a.m. Thursday, SeaWorld stock was already up 4 percent. This is a developing story. Check back with The Dodo for updates throughout the day.